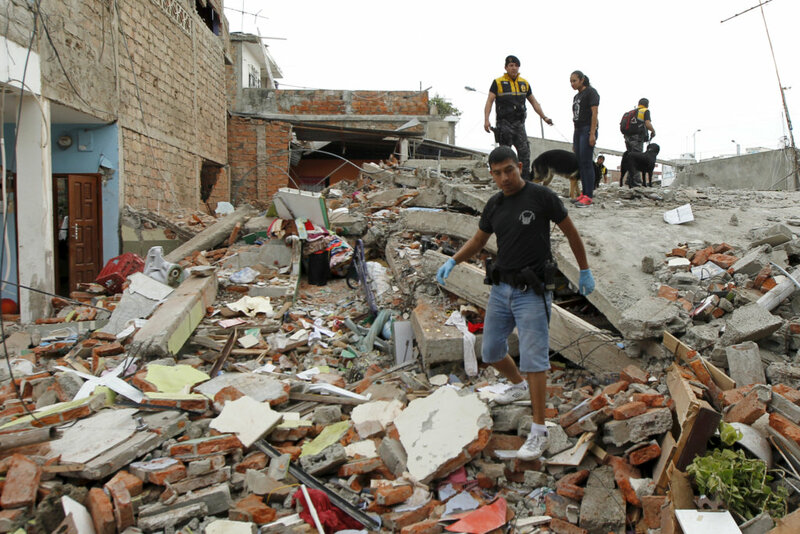 A 7.8 earthquake has caused significant damage along the central coast of Ecuador. More than 550 people were killed and thousands have been displaced, as numerous homes, buildings, and roads were damaged or destroyed. Survivors need access to emergency supplies like food, water, and medicine in addition to longer-term recovery assistance. All donations to this fund will exclusively support locally driven relief and recovery efforts from this disaster. At least 550 people were killed during a powerful earthquake on April 16. Numerous buildings were damaged and portions of an elevated highway collapsed. Several of GlobalGiving's partners need help responding to survivors' immediate needs. This fund will support locally driven relief and recovery efforts in Ecuador. All donations to this fund will support recovery and relief efforts in the region. Initially, the fund will help first responders meet survivors' immediate needs for food, fuel, clean water, hygiene products, and shelter. Once initial relief work is complete, this fund will transition to support longer-term recovery efforts run by local, vetted organizations.